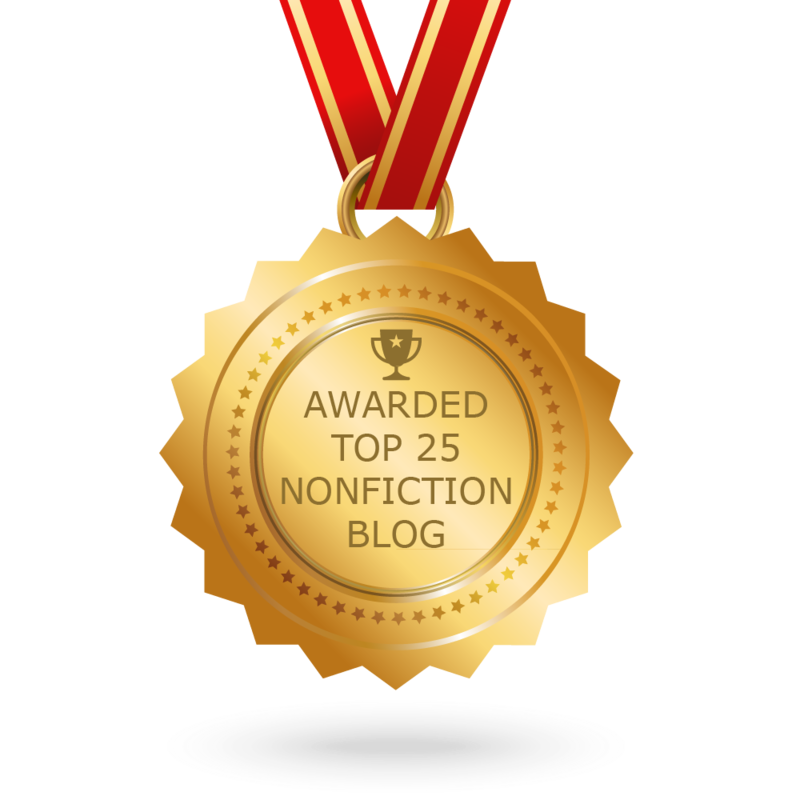 Today we continue the Nonfiction Authors Dig Deep series with an essay by author Nancy Castaldo. Thank you, Nancy. I often show a photo during my school visits of me as a little girl holding something very special, a little nonfiction book about planting seeds, called What Shall I Put In The Hole That I Dig? I loved that book so much that I still have it on my shelf. 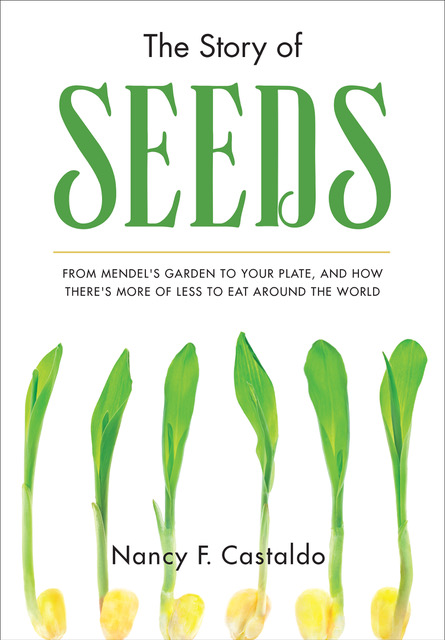 That little girl grew up to write THE STORY OF SEEDS: FROM MENDEL’S GARDEN TO YOUR PLATE, AND HOW THERE’S MORE OF LESS TO EAT AROUND THE WORLD. I really dug deep (sorry) into my childhood curiosity to write that one. When I learned that seeds were going extinct, just like animals, it woke up that long ago passion inside of me to learn more, like a dormant seed that was just waiting to germinate so many years later. In fact, I was surprised at my obsession for the topic. I spent eight years, on and off, researching it until it was published. It was as if the idea for that book was just waiting to sprout until I grew up. 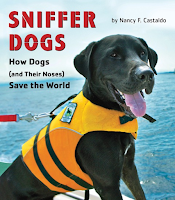 The subject of SNIFFER DOGS was not as much of a surprise to me as SEEDS was. There was nothing dormant about it. Dogs and I go way back. As an only child, my dogs were like siblings, and the first job I ever wanted was to be a veterinarian. In my early pursuit of that dream I took a pre-vet 4H class and volunteered in a local animal shelter. I’d bath and walk the dogs to socialize them for adoption. 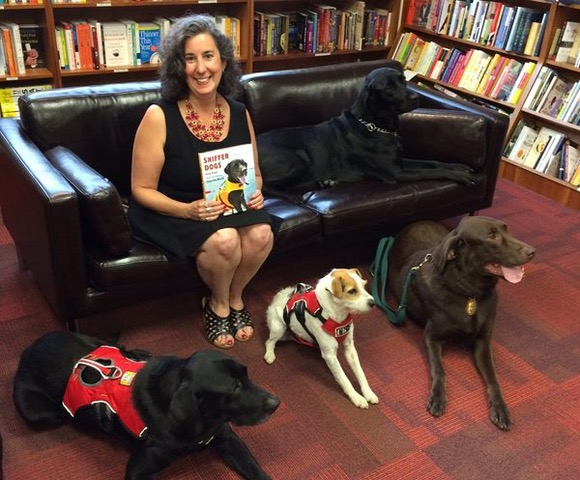 I spent days with dogs, many of whom were rescues, during my SNIFFER DOG research. Hour and after hour was spent getting to know them, photographing them, and sharing their stories. It was pure joy! And, it wasn’t just the dogs that made it fun, the handlers were pretty awesome, too. Creating that book was the culmination of so many things I love—dogs, photography, science, and writing. My dog, Gatsby, was even included in the pages. Every book means something special to an author/illustrator. We put a little of ourselves into each creation. BEASTLY BRAINS: EXPLORING HOW ANIMALS THINK, TALK, AND FEEL is also rooted in my childhood. I was fortunate to have a curious mom who filled her bookshelves with titles about all sorts of nonfiction subjects. One of her favorites was dolphins. I don’t know if there were any books published about dolphins that we didn’t have. I pored over those books and the family copies of National Geographic. As a middle school student, I used them for report research. As an adult children’s author, I went back to them to begin my research for BEASTLY BRAINS. The book is dedicated to my mom. She was the first person to make it clear to me that animals feel, think, and communicate. We are all the product of our childhood. The books and media we are exposed to help shape us into the adults we will become. I am the daughter of parents who encouraged my curiosity. I was also influenced by the books I read and the movies I watched, including Bambi, Doctor Doolittle, and The Jungle Book. The child in me who wanted to roam the jungle like Mowgli, talk to the animals like Doctor Doolittle, and protect animals, like Bambi, is in my head as I write. After all, I’m still writing for that nature-loving kid. 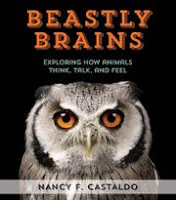 Nancy Castaldo didn’t become a veterinarian, but she certainly used her science degree. 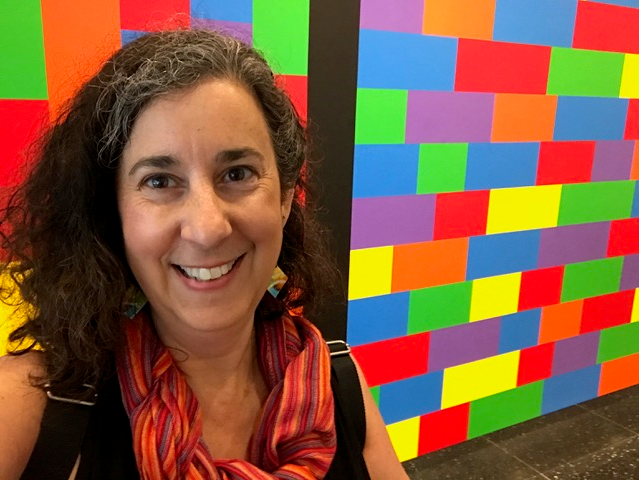 She has been writing books about the planet for over twenty years, including the Green Earth Book Award winner, THE STORY OF SEEDS. When Nancy isn’t creating STEM titles, she is often outdoors with her camera or blogging about other great books for STEM Tuesday or her own blog, Naturally Speaking. 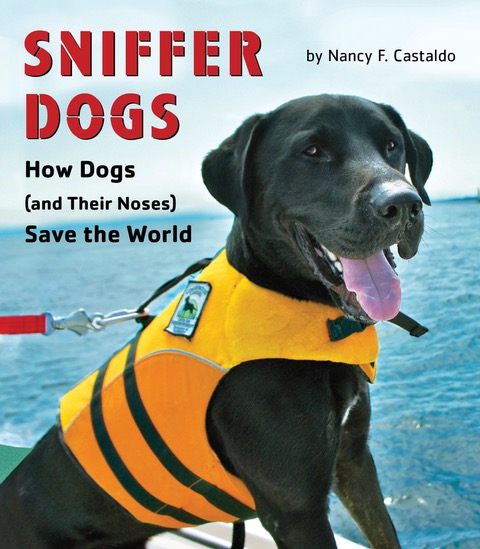 Find out more at www.nancycastaldo.com or follow her on Twitter at @NCastaldoAuthor. Great seeing you here, Nancy Cataldo. Thanks for taking us into your writing mind.